I’m hosting Asta Idonea today on my LJ as part of her blog tour with Eyes on Books for Beastly Businessmen and Guitar Gods. There’s also a rafflecopter giveaway. I’m hosting John H Ames today on my LJ as part of his cover reveal for Love, Joy, Heartache & Pain with Creative Minds Promotions. There’s also a rafflecopter giveaway. I’m hosting Joe Cosentino today on my LJ as part of his blog tour for Cozzi Cove: Bouncing Back. I’m hosting Donna McIntosh today on my LJ for her Release Day Blitz with Eyes on Books for Home. I’m hosting Tricia Owens on my LJ today as part of her blog tour with Creative Minds Promotions for Territory of Angels and Spoils of War. There’s also a rafflecopter giveaway. I’m hosting Mix n Match – a Wayward Ink Anthology today on my LJ as part of their blog tour with Eyes on Books. There’s also a rafflecopter giveaway. 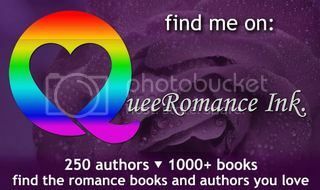 I’m hosting Grace R. Duncan on my LJ today as part of her blog tour for Patience. There’s also a rafflecopter giveaway. I’m interviewing Aimee Brissay today on my LJ as part of her blog tour with Eyes on Books for Nature of the Beast. There’s also a rafflecopter giveaway.